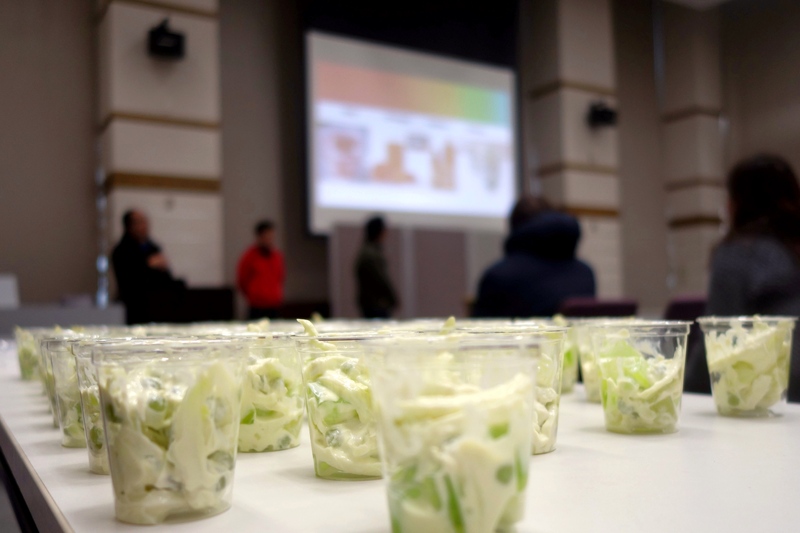 Bryan Lao and Clark Kendrick Go explain how to procure and prepare the ingredients. NAIST Tea Time events generally introduce a dish or custom from a student’s or staff member’s region of origin, and allow staff and students from different parts of the campus to connect over good food and drink. 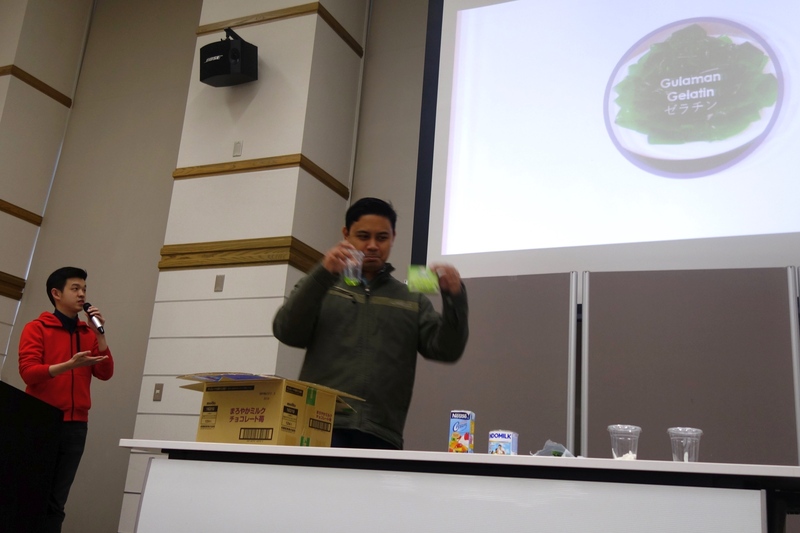 At the NAIST Tea Time #12, Marko Trono, Clark Kendrick Go and Bryan Lao shared their experiences about living, eating and shopping in the Philippines, and prepared Buko Pandan, a well-known dessert made from tapioca, jelly, screwpine (Pandan), cream and condensed milk. A student is instructed to pin an eye on a helpless face at the NAIST Tea Time. 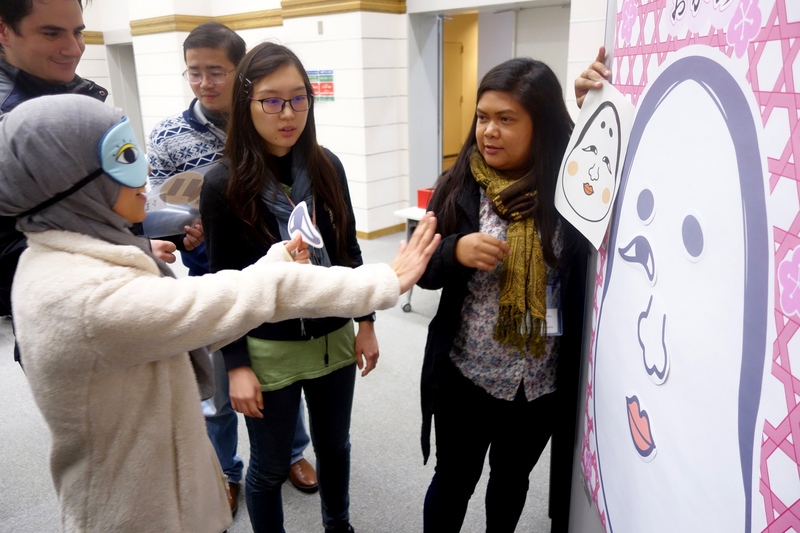 After devouring the dessert, participants enjoyed playing Fukuwarai, a Japanese equivalent of Pin the tail on the donkey, and a small lottery (Toshidama), one of the many Japanese customs around the start of the new year. 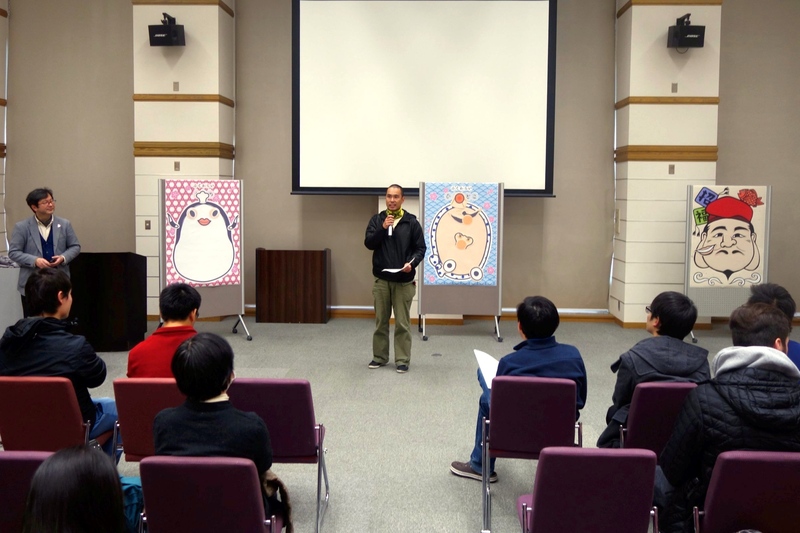 A partner of the NAIST Volunteering Group announces free kung fu classes near Ikoma. The NAIST Tea Time is always looking for volunteers and presenters. Why not present next time? Contact the organizers at kokusai@ad.naist.jp.